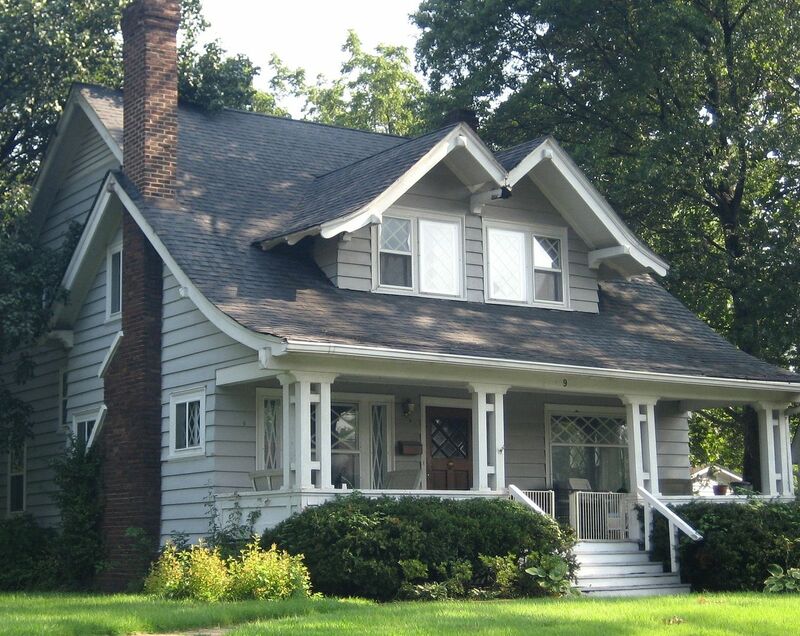 A few days ago, I sent Rachel pictures of an intriguing bungalow I’d found in Webster Groves. I thought I’d seen it somewhere before, but she quickly identified it as “Design #122″ from Henry L. Wilson’s planbook (published 1907). 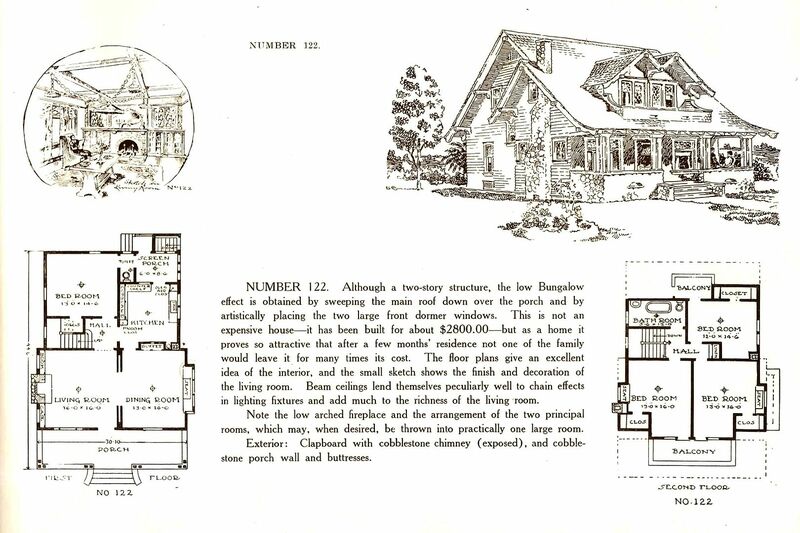 Henry L. Wilson was a Chicago architect who self-identified as “The Bungalow Man.” More than a century later, a search of his name brings up a surfeit of reprinted planbook catalogs on Amazon. Planbooks were a forerunner of kit homes, but were far more popular. Kit homes included blueprints and building materials. 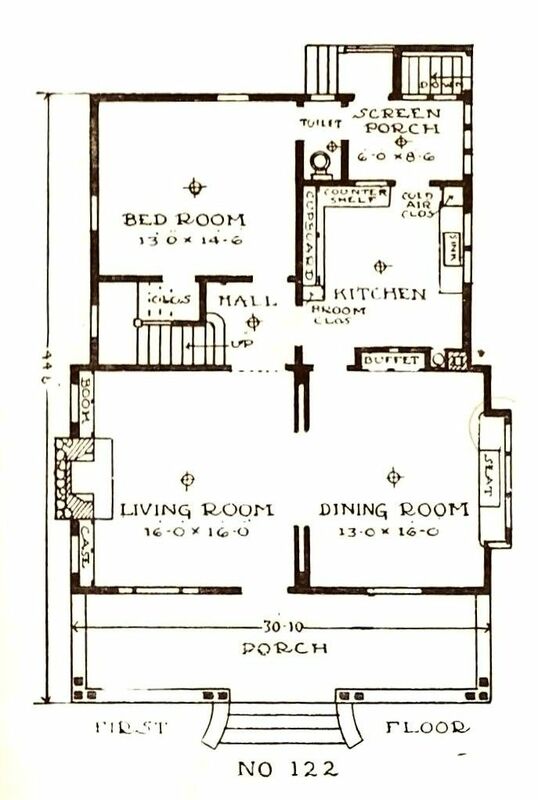 Planbooks were blueprints sans building materials, and they became ubiquitous during the Bungalow Craze in early 20th Century America. 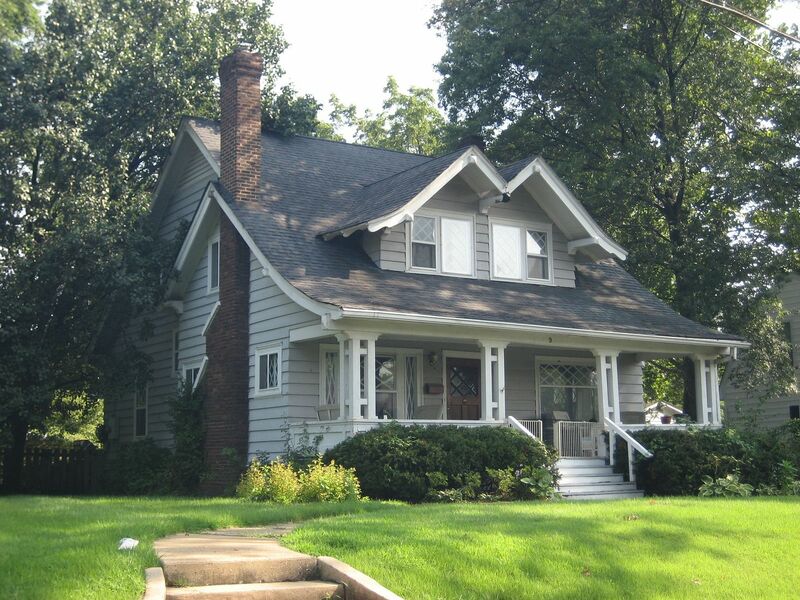 During my tour of Webster Groves, I found several kit homes (which I’ll feature in future blogs) and plan book homes, too, but this particular bungalow is a rare beauty and a fun find. Thanks to Rachel Shoemaker for providing vintage images. Thanks to Webster Groves for having so many undiscovered treasures! More to come in the following days! To learn more about why Americans abandoned their fancy Victorians for the simple bungalow, click here. 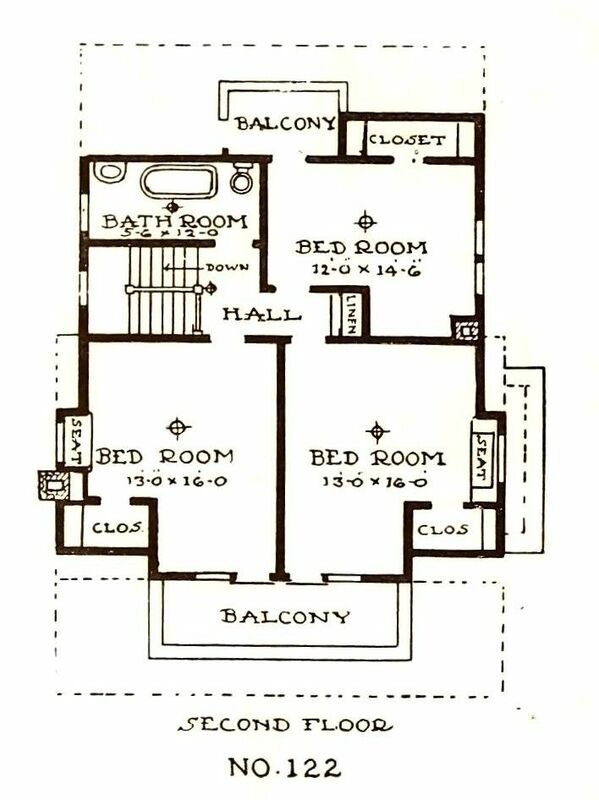 Henry Wilson was a popular Midwestern architect that created and published several plan books in the first years of the 20th Century. This design appeared in 1907. Henry L. Wilson identified himself as "The Bungalow Man," and his love of the bungalow shines through in his designs. Shown above is "Design #122" (1907 catalog). Pretty progressive for its time, with a first-floor half bath. Notice the cold-air closet in the kitchen? I had never heard of this before. Apparently, the goal of the space is to "preserve the chill of the night air," and it provided a place to store vegetables. The three upstairs bedrooms are unsually spacious, and each has a window seat within the bump-out. The second-floor balcony is also a nice feature. And here is Mr. Henry's 1907 design in the flesh. What a treasure to find a 100-year-old house in the heart of the bitter-cold Midwest with its original wooden windows. Major kudos to the owners for keeping this house in such gorgeous condition (and original too). I wonder if it still has the cold-air closet? A closer look at this beautiful old bungalow. 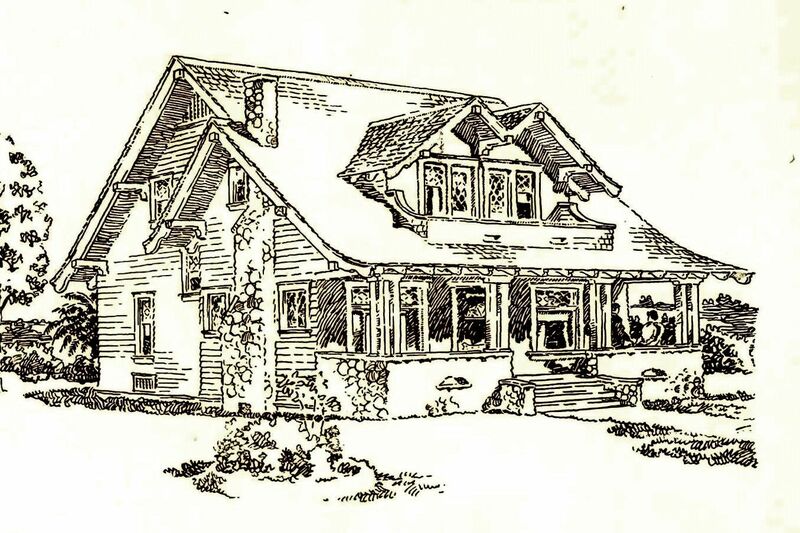 Nice comparison of the original sketch and subject house. To read more about Webster Groves, click here. Well, this is exciting! I can’t wait to see what you’ve found. I walked by a possibility the other day, in WG… Not sure if the size fit any of the usual suspects. It will be interesting to see if it’s one of your finds! I don’t usually focus much on looking for kit homes in Webster Groves, because I had the impression that you had already given it the thorough once-over, so I’m looking forward to the upcoming posts. Judith, you should send Rosemary a picture of that house you walked by, Rosemary and Rachel are experts at identifying these houses. They identified a house near mine off Moument Avenue in Richmond by the view on Google maps. It’s amazing because you could only see a small part of it. It was blocked by a statue of Robert E. Lee. Thomas, as I recall, you live right on Monument Avenue? There is a ‘kit’ off of Monument?! Must know which one!